She was interviewed and submitted her journal-writings to Mike from throughout her life while she was married and serving and he created a role for her in the play named “Shayla,” where she was basically playing herself and re-living her experiences on stage. “Downrange” made its world premiere at the Cape Fear Regional Theatre in March of 2016 and the audience response to the play was so positive and emotional that it has been talked about and lauded ever since. The play was also performed at the Shakespeare Theatre in Washington, DC, as an elected break-through stage-play to be viewed by more military families. 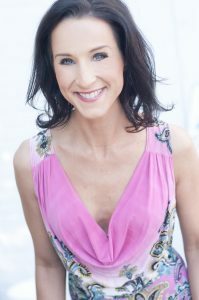 She continues to strive to find outlets in the theatre to re-live the life she earned with its triumphs and failures, its heartache and joy, the trauma and the recovery that she experienced, until all the voices who know and live through these hidden aspects of the military-spouse are given the same bright lights and exposure that any brilliant stage-play can receive. The Forum for Scholars and Publics is a place where scholars and various publics – local, national, global – interact to generate greater exchange between the university and the world. Visit us online at dukefsp.org. 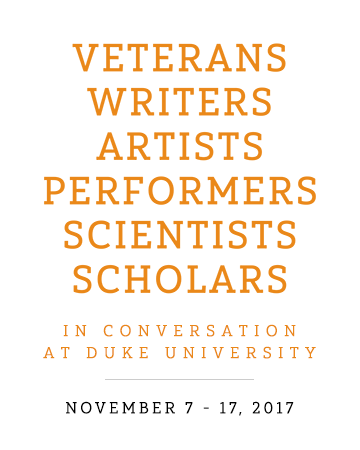 THE UNKNOWN SOLDIER BY DAVID JAY and IN/VISIBLE WOUNDS are co-sponsored by the Forum for Scholars and Publics and the Josiah Charles Trent Memorial Foundation Endowment Fund at Duke University. Copyright © 2017 Forum for Scholars and Publics. All rights reserved. IN/VISIBLE WOUNDS: An FSP Speaker Series at Duke University is powered by WordPress at Duke WordPress Sites. Please read the Duke Wordpress Policies. Contact the Duke WordPress team.